Dr. Scheinfeld examining a patient. The hygienist plays an intricate role in the oral health care of the patient. The role includes periodontal disease evaluation, taking x-rays and a patient’s periodontal probing and charting. In the old days, they engaged in cleaning and flossing the teeth under the theory that at healthy mouth was primarily necessary for the patient to keep their teeth. But discoveries in the last decade have uncovered the correlation between periodontal disease and other health related issues such as diabetes, Alzheimer’s, cardiovascular disease, pregnancy related problems that assigns new priorities to the role of the hygienist and your dental visits. These correlations have caused a new focus on evaluating a dental patient and new signals related to their overall health. “The American Academy of Periodontology seeks to educate the public about research findings which support what dental professionals have long suspected: Infections in the mouth can play havoc elsewhere in the body. For a long time it was thought that bacteria was the factor that linked periodontal disease to other infections in the body; however, more recent research demonstrates that inflammation may link periodontal disease to other chronic conditions. Research has shown, and experts agree, that there is an association between periodontal diseases and other chronic inflammatory conditions, such as diabetes, cardiovascular disease and Alzheimer’s disease. Therefore, treating inflammation may not only help manage periodontal diseases but may also help with the management of other chronic inflammatory conditions.” (www.perio.org). Serving residents in East Cobb, Roswell, Alpharetta, Johns Creek, Dunwoody, Buckhead and surrounding Atlanta communities. Dentistry Sandy Springs – Considering Dental Implants? Mouths, like people, are affected by years as well as by genes. If you’re over 60, your oral chemistry is changing—and thorough examinations of gums and salivary glands can be a lifesaving early detector of oral cancer or other disease. Older Americans are becoming the largest segment of our population and suffer disproportionately from oral diseases, with the problem being particularly acute for individuals in long term care facilities. They generally require multiple medications, and common side effects of the more than 500 medications used to treat their overall health issues usually reduce salivary flow. Usually the reduction in saliva can adversely affect their quality of life, the ability to chew, and lead to significant problems of the teeth and their supporting structures. The elderly may also have difficulty performing routine oral hygiene procedures because of physical limitations, such as Parkinson’s or rheumatoid arthritis. In addition,oral infection is now recognized as a risk factor for a number of systemic diseases, including cardiovascular diseases, cerebrovascular diseases,diabetes, mellitus, and respiratory disorders. Also,it is important to note that once people have lost their teeth and are using complete dentures, their oral health needs do not decrease. Our jaws are not static and may continue to resorb over time. Besides the continued resorption of bone, improperly fitted dentures can adversely affect chewing, leading to poor nutrition. In addition, those without teeth remain susceptible to oral cancer, mucosal diseases, and alterations in salivary gland function. As early as 55 patients are developing twice as many cavities as children do. All these health issues and their medications that create reduced saliva and cause dry mouth have become an open invitation for tooth decay and periodontal disease. Does the patient have to make a choice between his or her general health verses their oral hygiene? They shouldn’t have to. What should you expect from a visit to your dental hygienist? Along with your dental cleaning you may need professional scaling and root planing to remove harmful plaque and calculus deposits. Your hygienist should also record the depths of your periodontal pockets (that space between your teeth and gums where decay and periodontal disease flourish). Our hygienist is also an educator—someone who can teach you preventive dentistry skills—brushing and flossing techniques that make for healthy, trouble-free gums and teeth, regardless your age or your onset of other health issues. Together, you two can make an unbeatable team! Specializing in Geriatric Patients, Dr. Scheinfeld was trained in prosthodontics at Emory University School of Dentistry. The cost of a dental implant is around $1,500 up to $1,800 placed. Anything less may be an indicator that you’re getting an inferior product or one not designed for a particular location in your mouth. Short term the implant device may appear to be fully functional. But if we look at the cost and the cost of other materials for dental implants compared to their operational life, the difference may be likened to the difference between Toyo’s and Michelin tires. Here again the initial cost may appear affordable, but in the long run you are going to get a better result with how it functions and how long it lasts if your provider installs Michelins. the ability to avoid cutting two healthy teeth to accommodate the bridged tooth. We make the effort to do the right thing for our patients. Please give us a call for your complimentary consultation. Two important oral health care concerns emerging in the United States are disparities in the oral disease burden and the inability of certain segments of the population to access oral healthcare. Older Americans are becoming a larger segment of our population and suffer disproportionately from oral diseases, with the problem being particularly acute for individuals in long term care facilities. Population projections for the United States indicate that the elderly will constitute an increasing percentage of the population as we proceed into the 21st century. In 2001, the population of the United States was almost 278 million, and 12.6% of the population was 65 years of age or older. By 2015, the population increased to 312 million (3.08 million in 2010) and 14.7% of the population will be aged 65 years or older. In 2030, which is within the practice lives of students currently enrolled in dental schools, the population will have increased to more than 350 million, and 20% of the population—1 of every 5 members of the US society—will be 65 years of age or older. This large segment of our population is further compounded by the elderly population continuing to become increasingly diverse in terms of race, ethnicity,financial resources, and living conditions. The challenges faced by both the dental profession and the nation as a whole regarding provision of oral health care services to older adults are the subject of a recent report prepared by Oral Health America. All 50 states were surveyed to determine the level of Medicaid coverage for dental services, and the report concludes that financing oral health care services for the elderly will be a major challenge to our future. Medicare does not provide any coverage for dental services, and only 1 of 5 Americans aged 75 years or older has any type of private dental insurance. 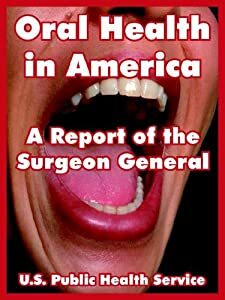 Given our current economic circumstances and resulting problems with Obamacare, it will be highly unlikely that our government resources will be adequate to gear up for the impending problem of oral health in the elderly. They suffer from chronic disorders that either directly or indirectly affect oral health, including autoimmune disorders such as pemphigus and pemphigoid. They generally require multiple medications, and common side effects of the more than 500 medications used to treat their overall health issues usually reduce salivary flow. The reduction in saliva adversely affects their quality of life, the ability to chew, and leads to significant problems of the teeth and their supporting structures. The elderly consistently have difficulty performing routine oral hygiene procedures because of physical limitations, such as Parkinson’s or rheumatoid arthritis. In addition, oral infection is now recognized as a risk factor for a number of systemic diseases, including cardiovascular diseases, cerebrovascular diseases,diabetes, mellitus, and respiratory disorders. Also,it is important to note that once people have lost their teeth and are using complete dentures, their oral health needs do not decrease. Our jaws are not static and may continue to resorb over time. In addditon to continued resorbtion of bone, improperly fitted dentures adversely affect chewing, leading to poor nutrition resulting in a shorter life expectancy. Furthermore, those without teeth remain susceptible to oral cancer, mucosal diseases, and alterations in salivary gland function. So for the vast majority of seniors residing in a long term care facility, financing of and access to oral health care services will be a formidable challenge. Given that medicare does not provide coverage for routine dental services including exams,and in the absence of private insurance or personal resources, a large portion of this group will not be able to afford any dental services whatsoever, let alone the most appropriate treatments. Clearly, there must be a response to the increasing oral health concerns of the elderly who present with special needs, especially those who are home bound or living in long term facilities burdened with other chronic disorders. While effective preventive measures exist for younger populations (water fluoridation, dental sealants and parents), no preventive measures have been devised to address the expected increase in oral health needs of our aging population. And the need for a coordinated effort to address their oral healthcare needs suggested by demographic trends and epidemiological data necessitates our planning for what might be considered a crisis or at least a paradigm shift in oral health care delivery for the elderly. Seniors who have contributed so vitally to our society’s well-being, deserve to be treated with the best oral health care we have to offer. Dr. Scheinfeld is a prosthodontist specializing in geriatric care. In addition, Dr. ZoAnna Scheinfeld and Dr. Hanna Orland have extensive nursing home experience.